This Strainer and Drip Bowl Set comes handy with 3 convenient sizes accompanied with matching Drip Bowls. From stove to table- saves time and mess. Does it all! 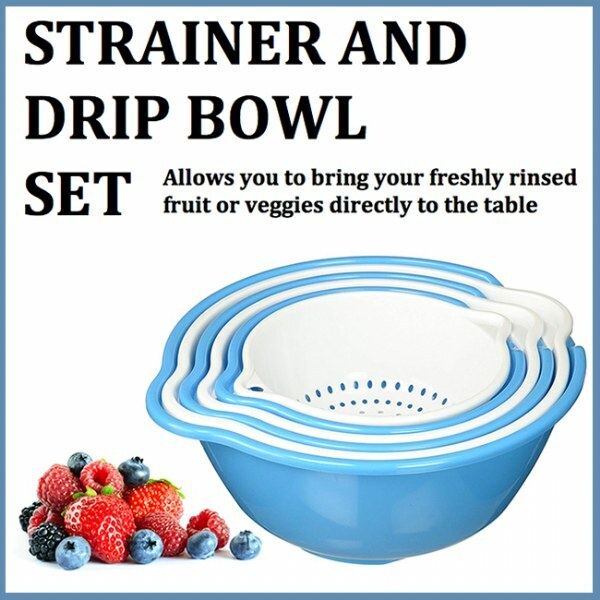 This Strainer and Drip Bowl Set comes handy with 3 convenient sizes accompanied with matching Drip Bowls. It has never been so easy to move your fruit and veggies right from the sink to the table with no mess. These bowls come in a size of 2 cups, 4 cups, and 6 cups.